Delia Fox is a nineteen year old university student who discovers she has a unique gift. During a horrific accident at the café where she works, she learns that she can read the last memories of the recently departed just by touching them. Unfortunately for Delia this gift is a double-edged sword. It makes her feel empowered and she considers it ‘a privilege to be the recipient of a soul’s last memories’. However, most people are infuriated that she interferes with the dead. One of the very few people who appreciate Delia’s special gift is a police inspector, Jonah Rainbird, who seeks her assistance to solve complex cases. Delia happily begins working with Jonah but encounters more resistance than she bargained for. Her family, her boyfriend, Jonah’s colleagues and others, show their disapproval in a variety of hurtful and disturbing ways. Yet despite the negativity from most people in her life, Delia feels it is her duty to fight for the dead and let them be heard. But at what cost? The story is written in the first person, told through Delia’s eyes. As Delia loved getting lost in Shakespeare’s sonnets, each chapter opens with a Shakespeare quote for readers to contemplate. This 400+ page fictional novel is targeted towards adults who love drama and suspense. It has themes of death, crime, corruption, revenge and love. 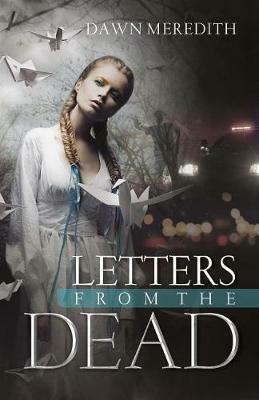 Letters from the Dead is a page-turner definitely worth a read!